Jen M has a great sketch for us this week at Freshly Made Sketches. The panel was perfect for my wild west themed stamps! Here is the original sketch design....feel free to dress it up or down! 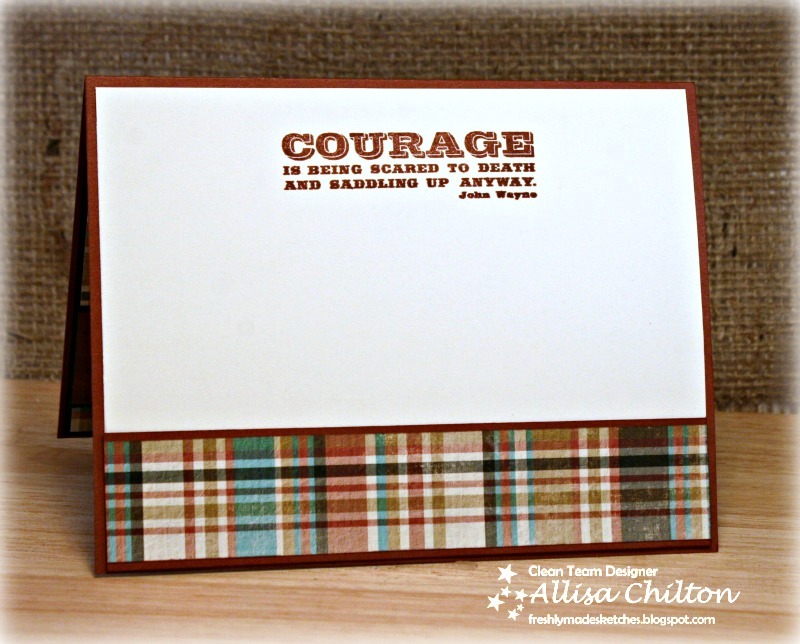 The western themed sentiment stamps from My Favorite Things are some of my favorite sentiments. I need this quote framed! Thanks so much for stopping by! 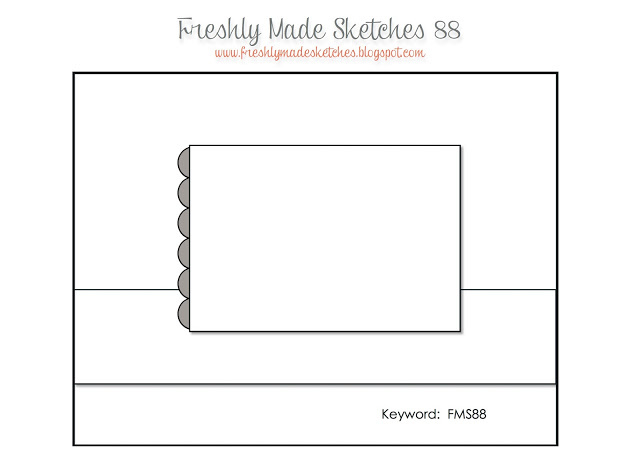 Hope to see your take on the sketch this week at Freshly Made Sketches! No one does a western card like you do! I love the image, the colors and the background! Love it! Another WOW card, Allisa! That is a great sentiment. Great masculine card. Love the papers and colors you used. I love that image with the plaid background. And that sentiment is wonderful! Fabulous!!! I love that plaid paper! I would be hoarding that too!!!! Super fun and of course it comes with a perfectly coordinated interior!!!! oh I love this. I'm such a fan of masculine cards and this one is great. Love how you co-ordinated the inside as well. Thanks for joining us at Use It Tuesday this week. 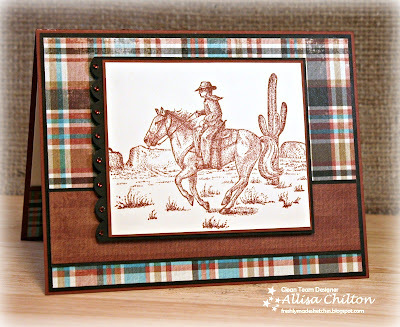 This is such a wonderful Western themed card Allisa! 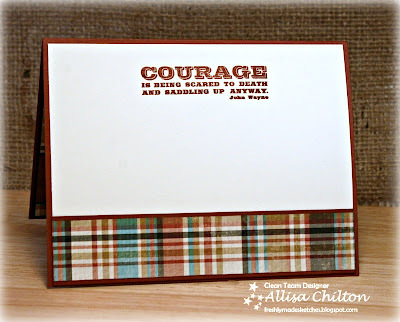 Love the paper you've used, it works so well for a masculine card! Ooh, I love those papers! 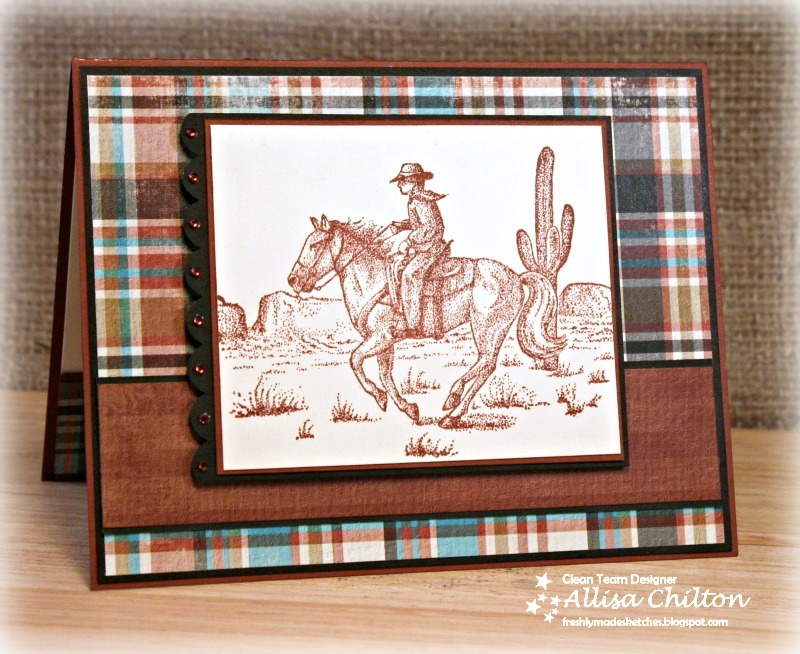 So perfect for a masculine and/or western themed card! What a great card! Totally stunning masculine card!!!! Just adore the DP you have used for it! I am so lovin' your masculine, western-themed cards! I especially love the plaid papers! This card is so wonderful! Love that background with the image!! Terrific card! Love the western scene and plaid background! Thanks for the inspiration!